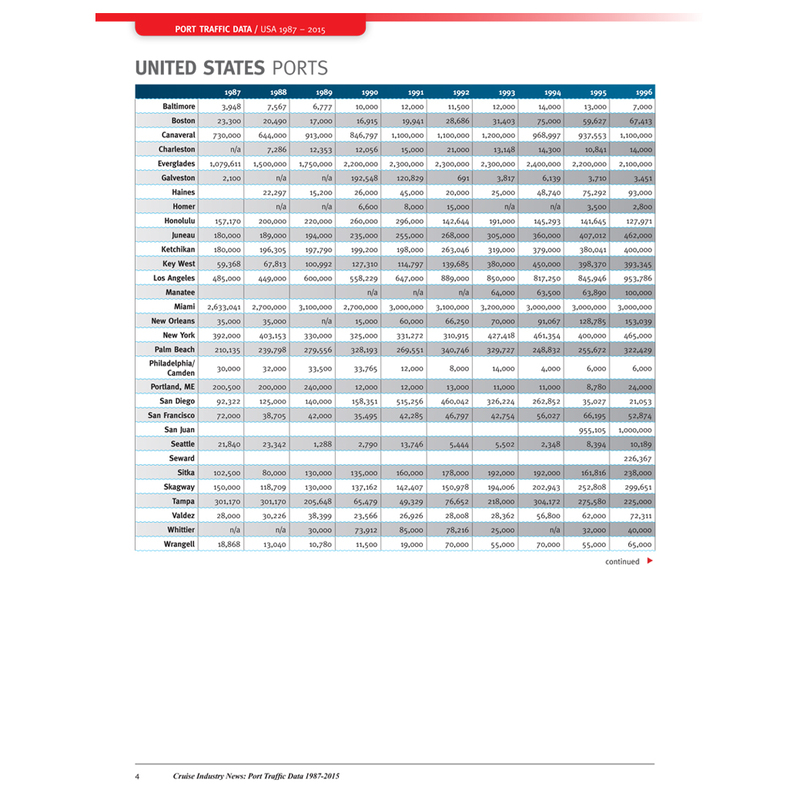 The Cruise Port Traffic Data report (1987-2017) presents port passenger traffic globally going as far back as 1987 for North American ports, and includes data sets for all major cruise regions, also going back to the early 1990s. 25 pages in total. This PDF report delivers instantly via email. 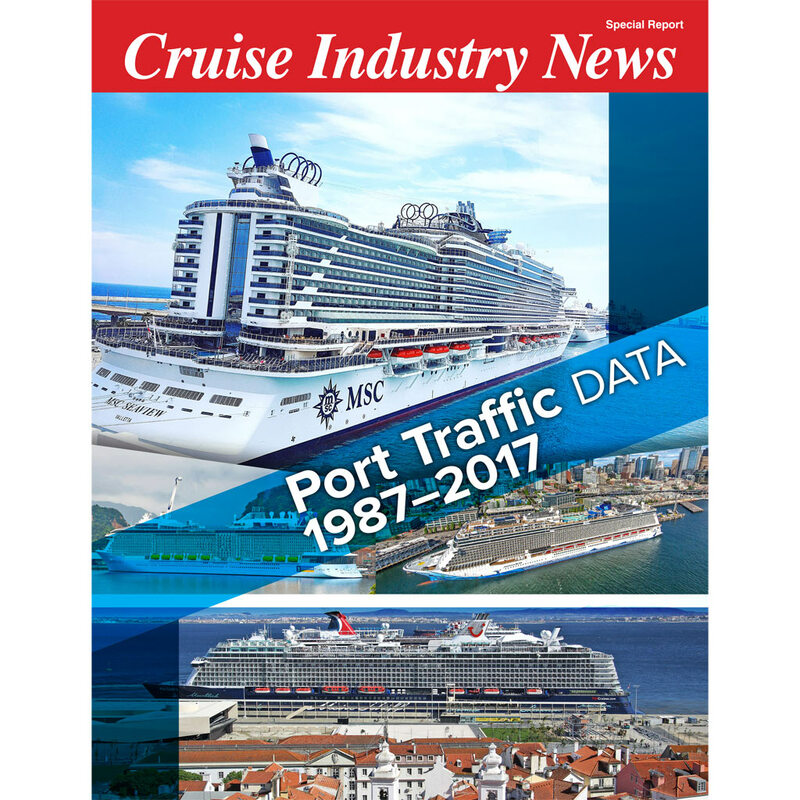 Port traffic data, independently sourced and published by Cruise Industry News, for all global cruise markets. Data goes back as far as 1987 for major markets such as North America and the Caribbean, and the early 1990s for most other cruise markets. 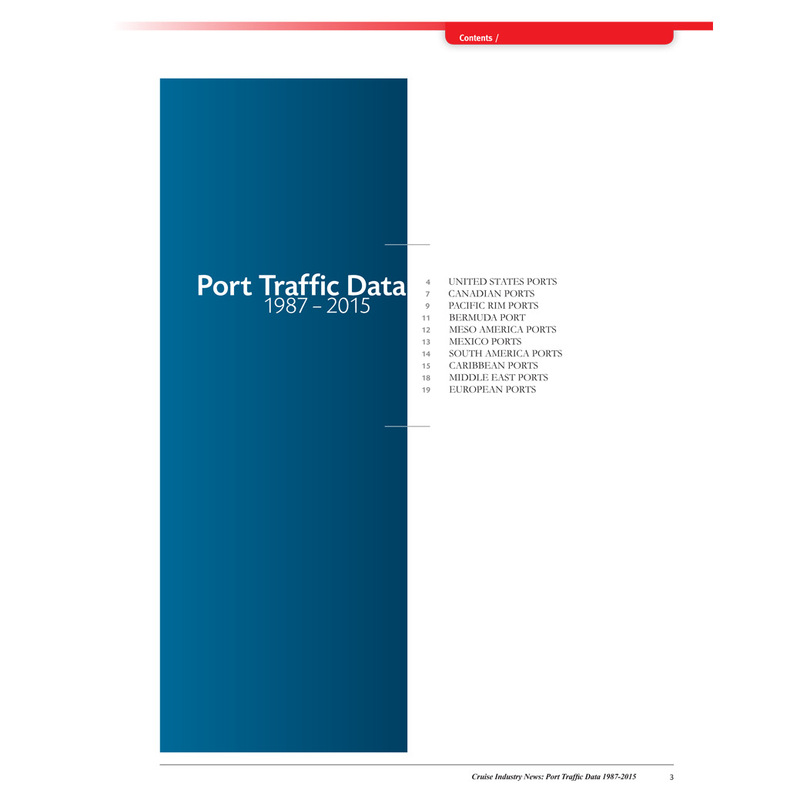 Data is reported in passenger traffic numbers and shows trends in port traffic growth over time. Instant download ability – no waiting for mail – this report is 100 percent digital and 25 pages.